This is a critical moment for the re-thinking of the object of architecture, approaching architectural discourse critically; questioning the very boundaries of Architecture itself. The discipline has been characterized in recent years by an anti-intellectual attitude. Moreover, it has been a reflection of an ideology of extreme consumerism and, as thus, "object" oriented architecture. 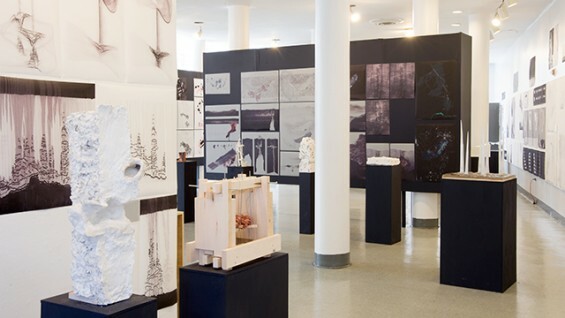 The innovative and visionary work produced in the Advanced Design Studio, while exploring specific problems, simultaneously addresses the question of the place and relevance of the problem in architectural discourse. Without prescribed boundaries, the projects address a myriad of critical issues affecting architectural discourse, ranging from urban theory to the present condition of globalization and the continual emergence of new scientific developments and technologies. Emphasis is placed on the design process developed through a series of productive readings. Drawing is emphasized as a tool for critical thinking and as an intrinsic part of the process completed by models.